As part of the project on “Advancing the System of Environmental-Economic Accounting (SEEA) in Pilot Countries”, the United Nations Statistics Division (UNSD) in collaboration with United Nations Environment Programme, Secretariat of the Convention of Biological Diversity and the Government of Norway is organizing a Forum of Experts on the SEEA Experimental Ecosystem Accounting. The Forum will bring together experts, practitioners and statisticians to discuss the draft guidance document that have been developed as part of the project to complement the SEEA Experimental Ecosystem Accounting. The guidance document will provide practical guidance for countries wanting to start testing the SEEA Experimental Ecosystem Accounting. The Forum will discuss selected issues related to the delineation of statistical units for ecosystem accounting, the classification of ecosystem services, the measuring and modelling of ecosystem services and ecosystem condition. As part of the project “Advancing the SEEA Experimental Ecosystem Accounting in pilot countries”, the United Nations Statistics Division (UNSD) in collaboration with the United Nations Environment Programme and the Convention of Biological Diversity is working with the National Statistical Office and Ministry of Environment of Chile to develop a National Plan for advancing environmental-economic accounting in the country. This project aims to support policy decisions in Chile by strengthening the national statistical system and contributing to develop an information system for sustainable development based on comparable environmental-economic accounts, including ecosystem accounts. UNSD will visit Chile on 13-17 April 2015 to participate in a series of high-level bilateral meetings as well as a high-level general meeting with Chilean officials and other relevant stakeholders, with the objective to obtain high-level endorsement of the National Plan and begin to foster institutional arrangements to implement the SEEA with the active involvement of all relevant agencies. On 13-16 April 2015, representatives from National Statistical Offices, Ministries of Environment and/or other line ministries dealing with forest, biodiversity or other environment-related issues, that have or plan to have programmes on the implementation of the SEEA in countries from Latin America and the Caribbean will meet in Santiago to attend the regional training workshop on the SEEA Experimental Ecosystem Accounting. Representatives from some other pilot countries involved in the project “Advancing the SEEA Experimental Ecosystem Accounting in pilot countries”, and well as staff from ECLAC and other international agencies will also attend. The objective of the workshop is to improve the capacity of participants in the implementation of the SEEA Experimental Ecosystem Accounting. The workshop is organized by UNSD as part of the project on “Advancing the SEEA in Pilot Countries” and will be hosted at ECLAC. As part of the project “Advancing the SEEA Experimental Ecosystem Accounting in pilot countries”, the United Nations Statistics Division (UNSD) in collaboration with the United Nations Environment Programme and Convention of Biological Diversity Secretariat are working in close collaboration with the General Statistics Office of Vietnam to develop a National Plan for advancing environmental-economic accounting in Vietnam, with the objective to strengthen the national statistical system in support of developing an information system for sustainable development through the development of comparable environmental-economic accounts, including ecosystem accounts to support policy decisions. A UNSD-led mission in Vietnam from 6 to 10 April 2015 will hold bilateral consultations and a high-level segment with Vietnamese officials, representatives of international organizations and other relevant stakeholders, with the objective to obtain high-level endorsement of the National Programme of Work. A national training workshop will also be held to increase capacity for the implementation of environmental economic accounts in various ministries in Vietnam. The London Group on Environmental Accounting is holding its annual meeting in New Delhi, India, on 15-17 October 2014. The London Group comprises experts from national statistical offices, as well as international organizations and plays a leading role in advancing the methodologies of environmental-economic accounts. This year the group will discuss, among other things, Integrated Approaches to the implementation of the System of Environmental Economic Accounts (SEEA), the Technical Notes and Core Tables for the SEEA Central Framework, issues relating to SEEA Experimental Ecosystem Accounting, Training and Capacity Building, and the SEEA-Agriculture. The ninth meeting of the United Nations Committee of Experts on Environmental-Economic Accounting (UNCEEA) will discuss how the System of Environmental-Economic Accounting (SEEA) can inform the current process on the development of SDGs and the role of the UNCEEA in advancing the work on indicators. It will also discuss modalities of cooperation with the corporate sector developing sustainability reporting and the input-output community working on multiregional input-output (MRIO) analysis. The meeting will also discuss a proposal for a medium-term programme of work for the implementation of the SEEA. It will discuss the work programme of the technical committee on the SEEA Central Framework, including proposals for core set of tables and accounts and process to finalize them, training of trainers, compilation guidelines and other materials supporting the implementation of the SEEA. Experts in environmental-economic accounts for water and water statistics from countries and international/regional organizations will meet in New York City from 20 to 22 November to review and discuss the guidelines for the compilation of water accounts and statistics. The guidelines will provide country experts and trainers with a comprehensive and reliable set of materials for assisting the staff of national statistics offices, water ministries, and agencies and other stakeholders in countries, with the process of implementation of water accounts and statistics for developing a monitoring system for water policies. From 18 to 20 November, experts in measuring, modeling and mapping characteristics of ecosystem condition as well as ecosystem services will meet in New York City to discuss models and tools to be used in pilot research and testing of the SEEA Experimental Ecosystem Accounting (EEA) framework. This meeting will bring together technical experts, pilot country representatives from national statistical offices and environmental agencies as well as international agencies to discuss the approaches available for quantifying ecosystem condition and ecosystem services at a national level. This meeting will focus on models and tools for accounting for biodiversity, carbon, and water ecosystems (quality characteristics as well as quantity considerations). Tools and models will be reviewed based on criteria for their applicability in the context of national policy priorities and the SEEA EEA, with the objective of selecting some of these models for use in the pilot country research and testing. The 19th meeting of the London Group on Environmental Economic Accounting will be held in London, UK, on 12-14 November and will be hosted by the Office of National Statistics and the Department for Environment Food and Rural Affairs of the United Kingdom. Experts in environmental economic accounts and supporting statistics from countries and international/regional organizations will review and discuss training and compilation materials for the implementation of the System of Environmental Economic Accounting (SEEA). Topics to be discussed include, among others, water accounts, energy accounts, air emission accounts, forest accounts and, land and ecosystem accounts. The United Nations Committee of Experts on Environmental-Economic Accounting (UNCEEA) is composed of representatives from national statistical offices and international agencies, and provides strategic vision and direction to environmental-economic accounting and related statistics. The Eighth UNCEEA meeting will discuss proposals leading to a medium-term programme of work for the UNCEEA, which would envisage two main streams of work: one focusing on the implementation of the SEEA Central Framework and the process to advance its research agenda; the second focusing on the testing and experimentation of the SEEA Experimental Ecosystem Accounting and advancing the related research agenda. The meeting will also discuss the role of the UNCEEA in the process of the post-2015 development agenda, the SEEA communication strategy, emerging issues related to the SEEA, and be informed on the international initiatives on indicators and progress made in SEEA Agriculture and environment statistics. The United Nations Statistical Commission at its 44th Session adopted the implementation strategy for the SEEA Central Framework and urged the UN Committee of Experts on Environmental-Economic Accounting (UNCEEA) to agree on a medium-term programme of work for the implementation of the SEEA. UNSD, in collaboration with CBD, EEA, Eurostat, FAO, IMF, OECD, UNDP, UNEP and the World Bank, is organizing a high-level International Conference “Global Implementation Programme for the SEEA” in the context of the post-2015 development agenda and broader measures of progress. The overall objectives are to facilitate the implementation and outreach of the SEEA and supporting statistics and to improve the scope, quality and detail of environmental-economic accounts and supporting statistics at the country level. The Conference will provide a forum for various stakeholders to discuss the SEEA implementation strategy and its links to policies. It is expected the outcome of the Conference would be formulated as recommendations to be presented to the UNCEEA and subsequently to the United Nations Statistical Commission at its next session in 2014. The United Nations Statistics Division (UNSD) in partnership with the Division of Sustainable Development (DSD), the United Nations Economic Commission for Africa (UNECA), the Southern Africa Development Community (SADC), and the World Bank are organizing a capacity development workshop on water accounts and statistics to be held in Mauritius in May 2013. The workshop is for participants from the National Statistics Offices and water or environment ministries or agencies from Botswana, Mauritius, Namibia, Seychelles, South Africa, and Zimbabwe. Workshops on water accounts and statistics are organized by the UNSD in the context of the implementation strategy of the System of Environmental-Economic Accounts (SEEA-Water) adopted as an international standard by the United Nations Statistics Commission. On the other hand, the DSD is working with countries as follow-up to Rio+20, including capacity development in monitoring and accountability frameworks and mechanisms for the Sustainable Development Goals (SDGs) and post 2015 agenda. The SEEA Central Framework is considered as one of the main foundation frameworks for supporting the development and tracking of the SDGs and post-2015 development indicators. Botswana, Mauritius, Namibia, South Africa, and Zimbabwe have initiated efforts for implementing the SEEA through initiatives from UNSD, SADC and the World Bank. They participated in a workshop held in South Africa in 2011. Seychelles is joining the group in order to, together with Mauritius, develop the implementation capacity suitable for Small Island Developing States (SIDS), in preparation for the third International Conference on SIDS to be held in Apia, Samoa, in 2014, to which DSD is the Secretariat. The United Nations Statistics Division (UNSD) is organizing a meeting of the Expert Group on System of Environmental-Economic Accounting-Energy (SEEA-Energy) in New York from October 5-7. The expert group consists of energy accountants and statisticians from national statistics offices as well as international organizations. The main objective of the meeting is to review and discuss the current draft of the SEEA-Energy. In particular, participants will focus on a number of important topics related to the structure of the publication, its content and organization. Participants will also discuss issues that emerged as a result of the initial consultation on the document. The recommendations from the expert group will provide inputs in the final draft of the SEEA which is shortly being submitted to global consultation and in the finalization of the SEEA-Energy. The United Nations Committee of Experts on Environmental-Economic Accounting (UNCEEA) is an intergovernmental body providing strategic vision and direction to environmental-economic accounting and related statistics. The Sixth UNCEEA meeting will discuss progress made toward the revised System of Environmental and Economic Accounts (SEEA). The Committee will also review proposals related to experimental ecosystem accounts and applications of the SEEA. Other related initiatives, international events and projects, including the SEEA-Energy and SEEA-Agriculture and the UN Framework for Development of Environment Statistics (FDES), will be discussed. The objective of the workshop is to provide focalized technical assistance to some countries in southern Africa for the institutionalization of water accounts and statistics. The workshop will be based on the System of Environmental-Economic Accounting for Water (SEEA-Water) and the International Recommendations for Water Statistics (IRWS), which have been adopted by the United Nations Statistics Commission (UNSC). The workshop will be jointly organized by the United Nations Statistics Division (UNSD) and the United Nations Economic Commission for Africa (UNECA). The participants include experts from the National Statistics Offices and Water Agencies from Botswana, Mauritius, Namibia, South Africa and Zimbabwe. The United Nations Committee of Experts on Environmental-Economic Accounting (UNCEEA) is an intergovernmental body providing strategic vision and direction to environmental-economic accounting and related statistics. The Fifth UNCEEA meeting will discuss progress made in resolving the issues in the issue list for Volume 1 of the revised System of Environmental and Economic Accounts (SEEA). It will also discuss the proposal for a list of issues for Volume 2 in particular related to the classification of ecosystem services and their valuation. Papers related to climate change, sustainability and integrated resources management will also be presented that are the themes of Volume 3 on the applications of the SEEA. Progress in drafting the SEEA-Energy, the International Recommendations for Energy Statistics and their synergies will be discussed. The United Nations Committee of Experts on Environmental-Economic Accounting (UNCEEA) is an intergovernmental body providing strategic vision and direction to environmental-economic accounting and related statistics. The Fourth Meeting of the UNCEEA will discuss the policy relevance of environmental-economic accounting and environment statistics framework to measure the nexus between economic growth, development and the environment including climate change. In particular, it will discuss the contribution of these frameworks and more broadly of the statistical community to global initiatives related to climate change, the green economy, sustainable consumption and production, biodiversity and ecosystem services. Senior experts from academia and the policy and scientific community will be invited to participate in the meetings. The UNCEEA will also review progress made in the revision of the System of Environmental-Economic Accounting (SEEA), the implementation of the SEEAW and monitor the progress of work of various technical groups and city groups working under its auspices. The United Nations Statistics Division (UNSD), in collaboration with the Economic Commission for Latin America and the Caribbean (ECLAC), is conducting a technical workshop to assist countries with the implementation of the System of Environmental Economic Accounting for Water (SEEA-Water). The workshop is being hosted by ECLAC in Santiago, Chile and will take place from 1 to 4 June 2009. The workshop has a practical focus and will provide countries with the necessary training to implement the System of Environmental and Economic Accounts for Water (SEEA-Water). The workshop will cover the SEEA-Water standard tables, how they are compiled, and global implementation of the SEEA-Water. Participating countries will share experiences in implementing the SEEA-Water, compile SEEA-Water Standard tables using national data and develop a plan for the implementation of the SEEA-Water in participating countries. The 14th meeting of the London Group on Environmental Accounting will discuss topics in the list of issues for Volume 1 of the revised System of Environmental-Economic Accounting (SEEA) , the international statistical standard. The revision of the SEEA is a project under the coordination and management of the United Nations Committee of Experts on Environmental-Economic Accounting (UNCEEA). The agenda include, among others, the following topics: classification of physical flows, land use/land cover classification, emission permits, accounting for carbon in forest and soil, natural resource management and expenditure accounts, definition and use of environmental taxes and subsidies and the environmental goods and services industry. The United Nations Statistics Division (UNSD) is organizing an expert group meeting (EGM) to discuss the draft of the International Recommendations for Water Statistics (IRWS). The meeting will take place in New York at the United Nations Headquarters from 4 to 6 November 2008. The IRWS will support: the collection and compilation of water statistics and accounts by countries, the reporting of water data by countries to international agencies, and the construction of water indicators. The IRWS does this by providing a list of recommended data items, with agreed definitions, for collection and compilation, along with the description of sources and methods for water statistics. The IRWS represents a major step forward in the harmonization of methods, concepts and definitions used in the compilation of water statistics and accounts. The London Group meeting will discuss issues on the research agenda for the revision of the System of Environmental-Economic Accounting (SEEA). Issues to be discussed range from issues in material flow accounts, energy accounts, classification of physical flows, environmental taxes and subsidies as well as emission permits and land and ecosystem accounts. The Sub-regional workshop will bring together the experts from the National Statistical Offices, from Ministries of Water in the six Arab Gulf Countries, and from concerned research centres, to share experiences in the development of water statistics and accounts. The workshop will focus on water accounts and aims to enhance their understanding of the System of Environmental Accounts for Water (SEEA-W) to facilitate the implementation of the System and compilation of the recommended standard tables of the SEEA-W. This workshop is part of UNSD’s global promotion of the SEEA-W, following the adoption of the SEEA-W as an interim international statistical standard in 2007. The SEEAW is an information system suitable for supporting Integrated Water Resources Management and the development of policy relevant indicators. The United Nations Statistics Division (UNSD), with the support of the Government of the Dominican Republic, ECLAC and the National Water Commission of Mexico, will conduct a workshop on water accounting in Santo Domingo, 14-18 July 2008. The workshop will bring together experts from the Department of Environment, Central Bank, National Statistics Office and other stakeholders in order to prepare water accounts for the Dominican Republic. The workshop will focus on the implementation on the standard tables from the System for Environmental-Economic accounting for Water (SEEAW), the relevant international statistical standard. Particular attention will be paid to the physical supply and use tables, hybrid account and asset account of the SEEAW. The UNCEEA is a strategic body providing coordination, setting priorities, bringing forward a research agenda, taking decisions on standards and developing strategic visions in environmental-economic accounting. The Committee meets on an annual basis. The Third meeting will discuss new terms of reference for the Committee to encompass not only environmental-economic accounting but also environment statistics. It will also discuss the project management framework for the revision of the System of Environmental-Economic Accounting, including the timeline and governance of the project and monitor the progress of work of the groups working within its mandate. The meeting is being organized as a follow-up to the Conference on Climate Change and Official Statistics (Oslo, 14-16 June 2008) which recognized the System of Environmental-Economic Accounting (SEEA) as a useful framework for climate change and requested the United Nations Committee of Experts on Environmental-Economic Accounting to oversee the statistical work on climate change. The objective of the Special Session is to brainstorm on existing initiatives and various stakeholders with the objective to developing a programme of work. 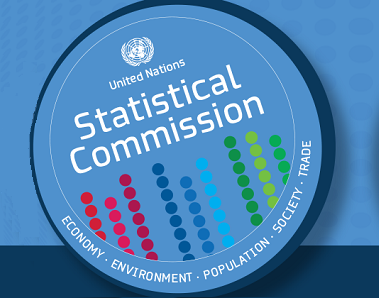 The meeting, organized by the UN Statistics Division (UNSD), is the first meeting of UNCEEA since its establishment by the Statistical Commission in November 2005. The meeting will review the work programme and decide on future work in the following areas: (a) coordination of activities in environmental accounting and related statistics; (b) implementation and promotion of environmental accounts; (c) advance the research agenda in order to elevate integrated environmental and economic accounting to a level of international statistical standard; and (d) harmonization of data-collection activities with environmental-economic accounting concepts and definitions. The meeting, hosted by UNSD, gathers experts in environmental accounting from countries and international organizations. It will discuss its governance structure, review the work of its subgroups (on mineral and energy resource accounting, water accounting and policy uses of environmental accounting); and advance the research agenda in environmental accounting. The meeting will also provide a forum for exchanging information on country practices in the implementation of the accounts. The meeting will critically review the housing section of the draft United Nations Principles and Recommendations for Population and Housing Censuses, Revision 2. The outcome of the meeting will be reported to the Expert Group Meeting on the 2010 World Programme on Population and Housing Censuses, New York, 10-14 July 2006, and will provide a basis for finalizing the global census recommendations. The conference, organized by the UN Statistics Division (UNSD) and hosted by Statistics Netherlands, aims at raising awareness of water accounting as the hydrological-economic information system to support Integrated Water Resource Management (IWRM). It seeks to develop a dialogue between users and producers of water information by identifying the information needs for policy making and how the water accounting framework meets these needs. The objectives of the conference are: (a) to launch the handbook on Integrated Environmental and Economic Accounting for Water Resources which has been prepared by UNSD in collaboration with the London Group on Environmental Accounting; (b) to promote its implementation in the users’ community; and (c) to establish a strategic group, under the auspices of the UN Committee of Experts on Environmental - Economic Accounting (UNCEEA), of countries, international organizations and non-governmental organizations responsible for promoting and advancing the implementation of water accounting in countries as well as in the international community.